recovery at siding spring observatry after the jan 13th fires is coming along surprisingly well so far. 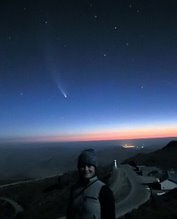 the ANU, owners and maintainers of the site, will open access to the observatory for operations on this coming week! amazing, really. the AAO will begin to test observing capabilities with the 4-meter Anglo-Australian Telescope (AAT) toward the end of the week, using the new remote operations centre recently set up in the north ryde (suburb of sydney) office. there will be some staff at site for the night and astronomers running 2dF remotely. it's still not clear where staff at site will stay when observing. hopefully things go well! i don't know the status of many telescopes on the mountain, but i know iTelescope is already up and running. does anyone have information on skymapper to share? also, the visitor center seems undamaged, even though i originally reported that it might have been damaged inside. i also want to share some amazing satellite images that were published this week by NASA's earth observatory. 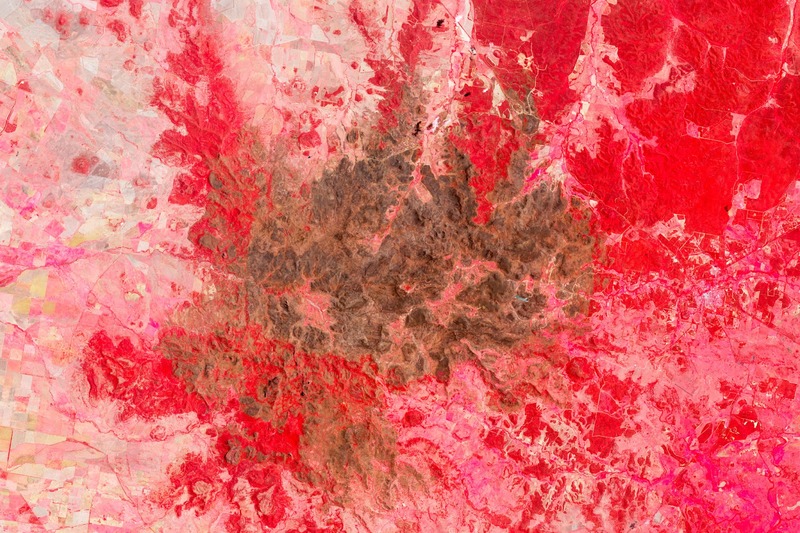 the images come from the Advanced Spaceborne Thermal Emission and Reflection Radiometer (ASTER) on NASA’s Terra satellite and show both visible and infrared light in false color. 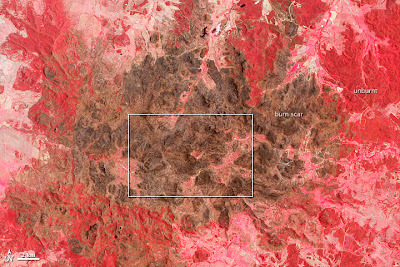 the dark red areas show unburned forest around the warrumbungle national park. unburned grasslands are shown in pink and the burned regions are brown. the buildings and domes on the mountain top that house the telescopes are the bright white. the first image shows the full region of brown, burn scarred forest on february 4, 2013, three weeks after the fire. this image is zoomed in a little. the white line at the bottom left shows 2 km. the image below shows the area outlined by the box above. the bright red in the middle, dotted with white telescope domes, shows just how close the observatory came to being destroyed. click the images to see bigger versions, or go HERE to see full sized versions. Thanks for the update, Amanda. Sixty Symbols: Total Solar Eclipse! 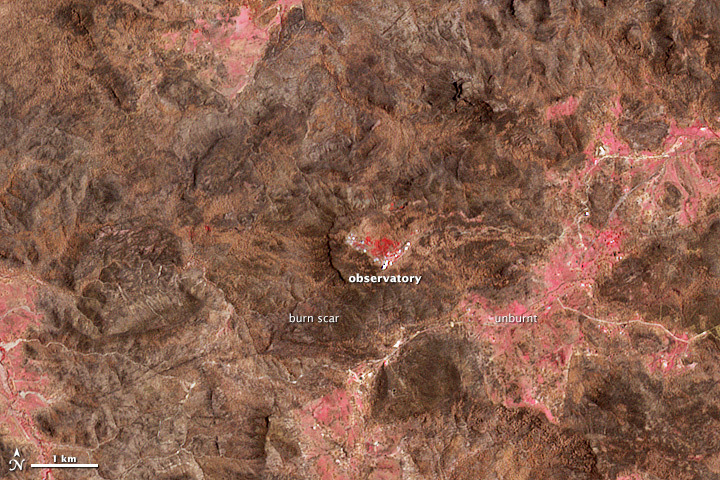 siding spring obs fires: back to science! i like big buns. and bacon. if the information on this site interests you, intrigues you, or otherwise inspires you, please consider dropping some change in the tip jar. thanks!